An eight-year NFL veteran with the Atlanta Falcons, Ray Easterling was known as a generous, selfless leader both on and off the field. Born to Elmer and Vivian Easterling in Richmond, Virginia, on September 3, 1949, Ray was the second of three, athletic boys. He grew up in what was a rural setting in Chesterfield County, roaming the creeks and fields as little boys do. He wrote in his third grade biography that he wanted to be a professional football player after watching his cousin, Carroll Dale, on television playing for the Green Bay Packers. In the eighth grade, Ray was 4’10” and weighed 98 pounds. He was a wiry, little fellow! He was the one in pickup football the quarterback always told to “go long”. He tried out for his school’s football team, but they wouldn’t give him a uniform. Seeing his son’s intense desire to play football, his dad took him to a private school, obtained a scholarship for him, and the rest, athletically, is history. Nothing had ever come easy for Ray. He was a fighter and a scrapper. His friend, Jimmy Lewis, would say that he had to rescue Ray from his scrapes! At Collegiate School, Ray lettered in five sports and was voted the best all-around athlete his senior year. Then came the search for a college to give him a scholarship. His dad took him around Virginia and North Carolina to no avail. Finally, because his brother, Robert, was going there, he walked on at the University of Richmond. By his sophomore year he earned a scholarship to play football for UR. His junior year play at cornerback was outstanding. By the time spring practice rolled around, pro scouts were in town to watch him. But it wasn’t to be an easy road. An injury to his knee put him in a cast for six weeks. Rehab included running the hills in a local park with his brother, Robert. He came back from the injury to play well his senior year at UR with numerous awards including All Southern Conference and Little All-American. He played in the Coaches All-American game. Coach “Bear” Bryant made a memorable impression on this college senior. In the spring of 1972 Ray was drafted by the Atlanta Falcons in the ninth round. Arriving in Atlanta was a dream-come- true for Ray. If there wasn’t a party, Ray started one. But by the time he was back in Richmond for the off-season he was crying himself to sleep at night. He wondered, “if you get everything you ever wanted and still feel empty, what is life all about?”. The summer of 1973, Ray knelt in a cow pasture in rural Virginia and trusted Jesus Christ as his Lord and Savior. I share that in this context because it is the key to who Ray was when I met him. He was passionate about sharing his faith with anyone who would listen. He went from aimless youth to responsible, leadership on the Falcons’ team. When he returned to Falcons’ training camp that year, a changed man, his coach, Norm Van Brocklin, told him “if you hadn’t changed, we were going to cut you”. Ray believed that God gave him back the very thing that he had always wanted to do. His passion for Christ led him to speak to youth groups, conferences, and retreats during the football season and all throughout the off-season. He made himself available to anyone who was in need of answers or help. In January of 1975, Ray returned to Richmond and the Bible study he founded with his dear friend, Earl Nance. It was there that I met him. I was a senior majoring in music at Westhampton College (UR). Ray’s enigmatic personality and genuine faith were magnetic to me. I quickly fell in love with his ready smile, gentle leadership, hunger for God and His Word and gentlemanly ways. I was beyond excited when, even after I graduated and returned home, a dozen roses were delivered. It was at that point that my parents knew that something more serious than just dating was going on! Ray proposed that summer and we were married on January 3, 1976 in Richmond. It was a fun life of speaking engagements coupled with working out in the off season; working hard to make the team and playing the games during the season. We were newlyweds; very much in love and enjoying our life together. In 1974, Ray started at safety for the Falcons and played through the 1979 season. 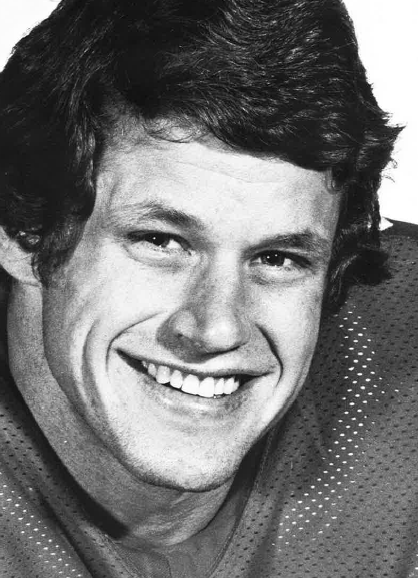 During his career, he tackled the likes of OJ Simpson, John Riggins and John Cappeletti. His best game was against Walter Payton in October of 1977 where Ray had 20 unassisted tackles and two interceptions. His job was quarterback of the secondary and he reveled in the task of reading the quarterback and communicating with his fellow defensive backs. That year, the Falcons’ “Gritz Blitz” held their opponents to 129 points, an all-time record that has never been broken. Ray gave his all on the field. There was never a time when he considered loafing or giving less than one hundred percent. Ray never mentioned his concussions. It was a part of the game that no one ever saw except when a player was knocked out. He was seriously injured during the 1978 season with a dislocated elbow. It disabled him to the point where he had to use his head more to tackle. During his final training camp in 1980 with the Falcons, he shared with me that he was getting stingers and seeing stars a lot. His right thumb went numb and the muscles in his arm began to atrophy. The team trainer took notice when, after not sleeping several nights, Ray asked for a sleeping pill. The trainer also saw the neurological damage apparent in his arm. After a series of examinations and being told that returning to play might bring paralysis, Ray decided to retire from professional football. He saw this as God’s merciful way of showing him that it was time to walk away. During the 1980s Ray successfully built a financial services business. We enjoyed prosperity to a level not experienced during football. We had investments and a portfolio that would be the envy of most middle class Americans. Ray attributed his success to God’s blessings. Upon turning 40, Ray began to experience serious problems with insomnia which, in turn, led to depression. He left the financial services business along with its excellent residual income and decided to take a new direction. He tried to start several businesses on his own over the next 9 years. His description of these decisions was “uncharacteristic” and “I didn’t do the due diligence I would normally have undertaken”. I found that I was living with someone I did not recognize. My normally disciplined husband took chances with our finances that ended in losing our house and all our savings. Interaction with our friends gradually dwindled; he pushed away some very close friends in fits of temper. Ill humor was a constant companion. In and out of various professions, Ray had difficulty working with others. It wasn’t until he brought his business home in 2007, that I noticed his inability to organize and keep track of details. Never one to tolerate messiness, his desk was a maze of phone messages and incomplete business plans. I was at a loss to know what had happened to my precious husband. In December of 2010, I saw a blurb on the Internet about a former NFL player who had CTE. It took me to the case studies Drs. McKee, Stern, Cantu and Chris Nowinski had done on former athletes who were diagnosed with CTE. The symptoms and behavior matched Ray’s. I was and am so grateful to them for making their findings known. The spring of 2011, Ray was diagnosed with dementia due to the concussions he sustained in professional football. We finally had our answer to the questions of “what” and “why”. The feelings of helplessness mounted as Ray’s symptoms worsened. The medicines available could only promise to stave off the march of the disease temporarily. With the conviction that his time on earth was complete and that he was “ready to meet” his Lord and Savior, Jesus Christ, Ray took his life on April 19, 2012. The subsequent autopsy revealed moderately severe CTE in Ray’s brain. 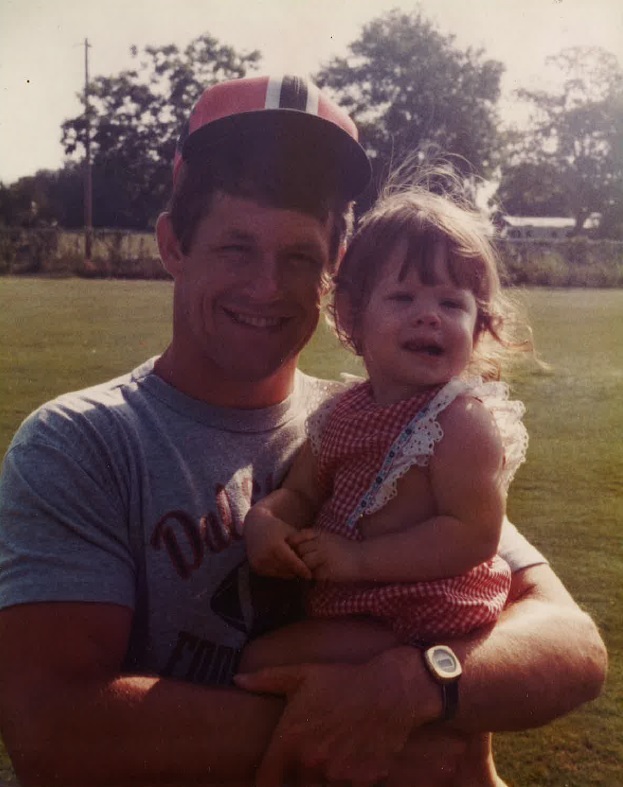 I hope and pray that sharing Ray’s story has helped you understand what a devastating disease CTE is and how important the work that the Concussion Legacy Foundation and BU CTE Center are doing. Please consider doing all that you can to help in educating your friends and promoting this research. Most of all, to God, be the glory! For He sustained us through a difficult time with His peace and provision. Read more about Ray’s story in the New York Times here, and in a Christian Families Today newsletter here.